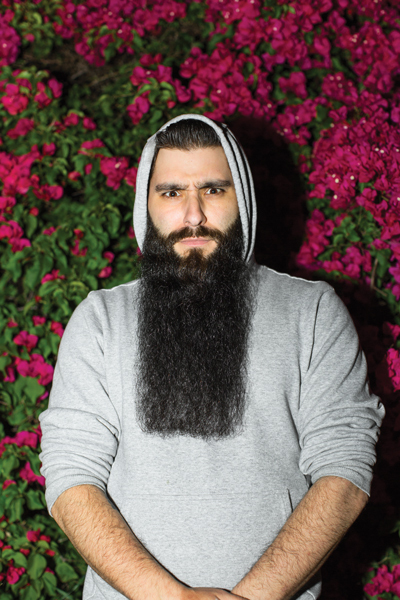 The first thing you notice about Jordan Vogt-Roberts ’06 is the beard. Dark and full and hanging down his chest, it’s the beard of a well-groomed castaway or a member of ZZ Top. Vogt-Roberts calls it his “playoff beard,” its first follicles begun at the start of directing Kong: Skull Island. It’s a beard literally born of the jungle. On March 10, 2017, Kong: Skull Island roared into theaters with Vogt-Roberts at the helm. The star-studded cast includes Hollywood heavy hitters Brie Larson, John Goodman, Samuel L. Jackson, and John C. Reilly as scientists, journalists, and ad­venturers setting out at the tail end of the Vietnam War to chart the mysterious Skull Island, home of Kong—a godlike protector or a dangerous monster, depending on who you ask. At 32 years old, Vogt-Roberts had a string of indie successes, including 2013’s quirky coming-of-age flick Kings of Summer. Then he directed Kong’s triumphant return to the big screen—a blockbuster with a $185 million budget. When we met up with Vogt-Roberts in April, he was fresh from a 14-hour flight home from a press tour in Vietnam (where much of the movie was filmed—and where Vogt-Roberts was recently named as a tourism am­bassador). By then, Kong had raked in $565 million world­wide, making it a box office success, with good reviews to boot. Vogt-Roberts has hustled in LA since his 2006 gradua­tion from Columbia College Chicago’s film program, which makes him the perfect tour guide. He took DEMO around some of his favorite Hollywood haunts to talk about resurrecting Kong, falling in love with Vietnam, and where to find LA’s best grilled cheese. 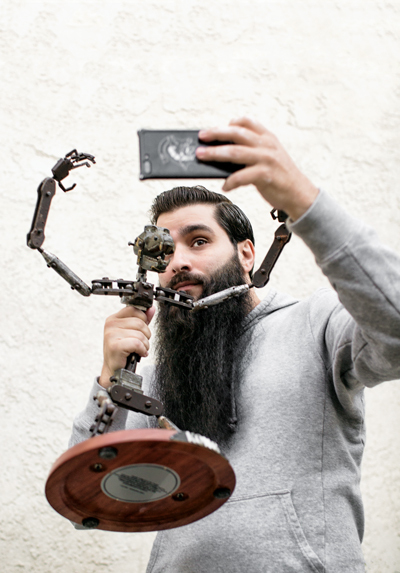 Vogt-Roberts snaps a selfie with a piece of cinema history: the original stop-animation skeleton from the first King Kong. “Is it heavy?” someone asks. Our first tour stop: Bob and Kathy Burns’ house in the suburb of Burbank, California. The Burns have been collecting Hollywood memorabilia for more than 60 years, and their home holds more than 1,000 props, costumes, posters, and set pieces: Star Wars alien costumes, puppets from Gremlins, masks from Planet of the Apes, the actual time machine from 1960’s sci-fi classic The Time Machine. But all those things are a distrac­tion. Vogt-Roberts came here to meet Kong. Legendary stop-motion animator Willis O’Brien built a series of metal armatures for 1933’s King Kong, the giant ape’s first ap­pearance on screen. Today, only two of those armatures survive. One belongs to Peter Jackson—yes, that Peter Jackson, director of Lord of the Rings as well as 2005’s King Kong reboot. The other belongs to Bob and Kathy Burns—which means Vogt-Roberts is holding it right now. Vogt-Roberts made his first monster movie as a kid growing up in the Royal Oak suburb of Detroit. He built a block town, hid dog treats among the buildings, and set the family pooch loose while he filmed the destruc­tion. Back then, he was just a kid who loved blockbuster thrillers like Jaws, Star Wars, The Goonies, and Die Hard. He didn’t yet know that a couple decades later, he would direct one himself. Before Kong, Vogt-Roberts had indie notoriety. Short film Successful Alcoholics screened at Sundance, South by Southwest, and AFI Film festivals in 2010; three years later, Kings of Summer premiered at Sundance and was picked up for distribution by CBS Films. On top of that, Vogt-Roberts directed television shows, commercials, and online shorts. So he was a young director, successful but still green by Hollywood standards. Then he landed one of the biggest movies of 2017. When Legendary Entertainment sent him the original Kong script, he questioned if the world needed another King Kong adaptation at all. “Their version of the film took place in 1917, and I was like, ‘I just don’t know why you’d make this movie,’” he says. So the studio flipped the question: What movie would he make? He took a weekend to mull it over. Vogt-Roberts discovered a great spot to escape LA traffic: Aroma Golf, a driving range in Koreatown. In the heart of LA’s Koreatown, we ride an eleva­tor up six stories to hit golf balls over a parking garage. We’re at Aroma Golf, a driving range where $33 rents you a golf club and 200 balls. A net stretches around the parking garage roof, almost invisible against the night sky, so white golf balls fly and bounce like they’re suspended in the air. Vogt-Roberts discovered Aroma Golf one day when he was trying to escape LA’s infa­mously slow traffic. 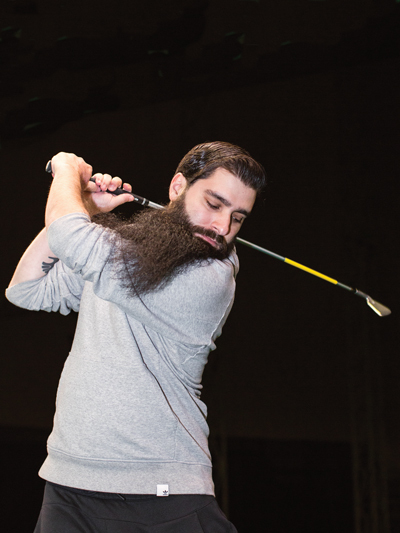 The weirdness of the driving range appealed to him; it became a strange little oasis in the city. People ask Vogt-Roberts what his path has been, as if his success can translate into a step-by-step guide. Of course it’s not that simple. As a student in Chicago, he fell in with a group of comedians making names for themselves at places like Second City, iO Theater, and The Laugh Factory. Back then, they were nobodies. Now, they’re names on sold-out theatre marquees: Thomas Middleditch, Kumail Nanjiani, Hannibal Buress, John Mulaney, and fellow Colum­bia alum Kyle Kinane ’02, to name just a few. Even though he was still an undergrad, Vogt-Roberts started tagging along with his camera, turning stand-up bits into fleshed-out comedy shorts. 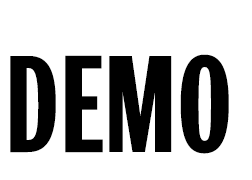 He and his friends launched a video website, blurds.com, which eventually turned into the 2012 show Mash Up for Comedy Central—a collection of stand-up acts and comedy shorts hosted by comedian T.J. Miller. What’s Vogt-Roberts’ Astro Diner order? Grilled cheese, fries, Diet Coke, and a side of ranch dressing. 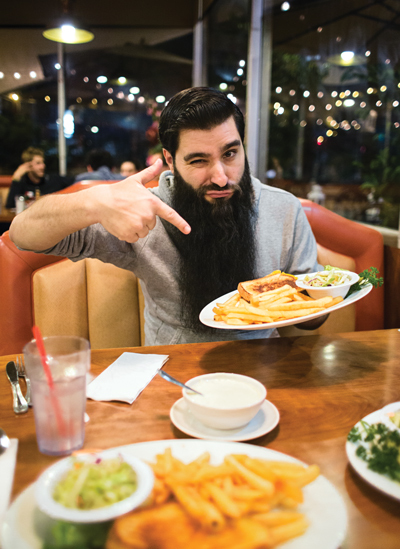 Here is how you eat a grilled cheese like Jordan Vogt-Roberts: First, you cut your pickle spear into as many chunks as you can. Then you open the sandwich and smash the pickles inside. Then you toss in a handful of French fries, close the whole thing up, and dip it into the side of ranch you had the foresight to order. Astro Diner, Vogt-Rob­erts’ go-to LA grilled cheese spot, glows in warm colors, wood paneling, and orange vinyl booths. “People always ask me, ‘What would your last meal be when you die?’ And my answer is always, ‘I just want a grilled cheese made by my mom,’” he says. Astro reminds Vogt-Roberts of the kind of low-key, late-night diners he used to frequent in Chicago. Even as he’s climbed the Hollywood ladder, Vogt-Rob­erts finds ways to connect back with the region where he grew up. Kings of Summer filmed in Ohio. In Kong, John C. Reilly’s character is from Chicago—and though he’s been trapped on Skull Island for decades, he hasn’t given up on his beloved Cubs winning the World Series. But Vogt-Roberts has a surprising new home base: Saigon, Vietnam. Vogt-Roberts and the Kong team scouted filming locations everywhere from Iceland to Cambodia, but when he landed in Vietnam, he knew they’d found their setting. “Right away, I just knew there was nothing on the planet that looked or felt the same,” he says. Vietnam’s lush jungles, rivers, and swamps were the perfect setting for Skull Island, a fantasy land full of vibrant and terrifying creatures inspired by everything from Pokémon to Miyazaki animated films. With its massive Blockbuster budget, Kong is the largest production to ever film in Vietnam. Filming in remote areas meant the cast often took a helicopter to set. Vietnam has embraced Vogt-Roberts, too. Kong’s opening weekend set Vietnamese box office records, with an estimated 162,000 moviegoers flooding theaters to see their country steal the show. In spring 2017, the Vietnam National Administration of Tourism elected Vogt-Roberts as the country’s next tourism ambassador. In addition to encouraging other filmmakers to set their productions in Vietnam, he hopes to expand creative education and arts programs in the country’s schools. By now, the grilled cheese has been devoured. Vogt-Roberts’ LA home sits a mere five-minute drive away, but at the moment, he’s caught between two worlds. “My two biggest goals right now are to get a house back in Detroit and to get a house in Saigon,” he says. So what else is next for Vogt-Roberts? He’s already connected to the Metal Gear Solid film adaptation—a beloved video game franchise that he grew up obsessing over. But after years on Skull Island, he’s ready to take a break before jumping into his next projects.